Jefferson Middle School students will culminate 10 weeks of learning about heart health and disease prevention at the San Gabriel Educational Foundation’s Youth Fitness Expo from 10 a.m. to 2 p.m. Saturday, June 10 at Jefferson Middle School, 1372 E. Las Tunas Drive, San Gabriel. 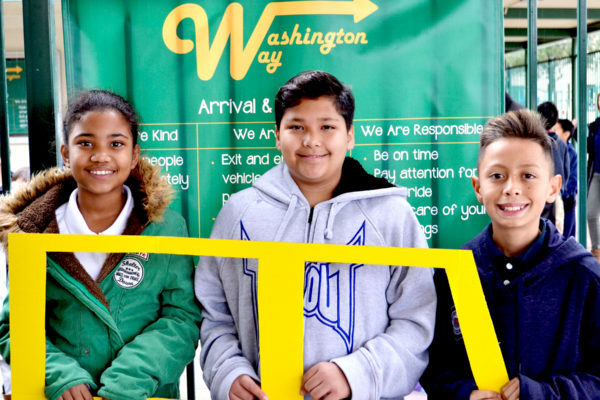 Jefferson students received hands-on health education as part of Future Doctors of America, which inspires middle schoolers to explore healthcare professions. Thirty Del Mar Continuation High School students who have overcome personal and academic challenges will celebrate their success at Del Mar’s commencement at 6 p.m. Thursday, June 1 at Gabrielino High School. Notable graduates will also be awarded a combined minimum of $3,000 in scholarships from community organizations such as the Kiwanis Club of San Gabriel, West San Gabriel Valley Association of Realtors and Sunny Slope Water District. Gabrielino High School is at 1327 S. San Gabriel Drive, San Gabriel. Gabrielino High School senior Sanjaye Narayan was awarded the 2017 National Merit Scholarship, which honors 7,500 of the 1.6 million eligible students across the country based on PSAT scores, academic record and extracurricular achievements. 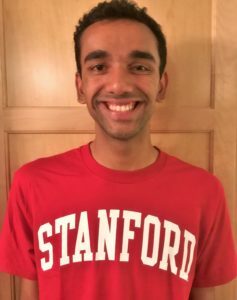 Narayan will graduate with nearly 440 of his peers at 6 p.m. Wednesday, May 31 at the Santa Anita Park and continue his education at Stanford University. Santa Anita Park is at 285 W. Huntington Drive, Arcadia. Follow-up Story: San Gabriel Unified’s Gabrielino High School recognized nine teachers and staff in May for using imaginative instruction to inspire student excellence. Gabrielino’s visual and performing arts department presented the inaugural Creativity in the Classroom Award to John Carney, Yvonne Aparicio, Lovelyn Chang, Kevin Weir, Marguerita Drew, Jessica Lew, Mike Huang, Maria Morales and Diane Maestas. Outstanding projects and assignments included student videos of reenactments of famous court cases in social studies, a “Hamlet” grab bag in English and GeoGebra software use in math. San Gabriel Unified’s Coolidge Elementary School will host its annual variety show from 7 to 9 p.m. Friday, May 26. This year’s event, themed “We Will Rock You,” will showcase a variety of student performances, from vocal and instrumental music acts to dances and skits. Refreshments will be available for purchase. Gates will open at 6:30 p.m. Coolidge Elementary is at 421 N. Mission Drive, San Gabriel. San Gabriel Unified’s Washington Elementary fifth-graders will stage a musical about the American Revolution from 1:30 to 2:30 p.m. Tuesday, May 23. 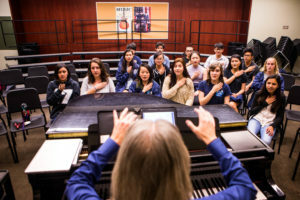 Students will sing their way through the formation of the United States for parents, community members and representatives from the Assistance League of Arcadia, which funded a grant for the musical’s wardrobe. Washington Elementary School is at 300 N. San Marino Ave., San Gabriel. 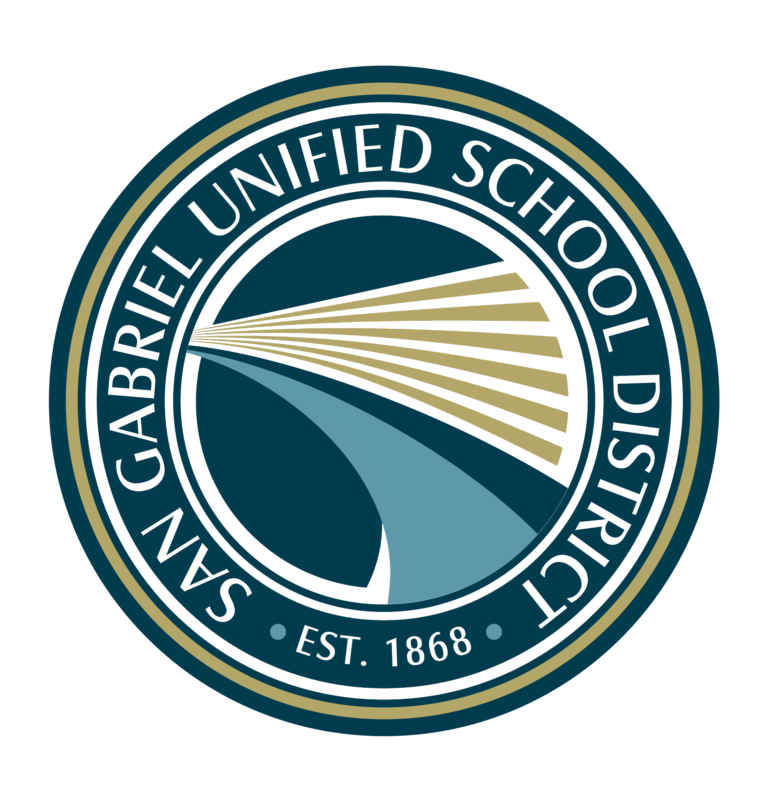 Follow-up Story: San Gabriel Unified’s Gabrielino High School received the 2017 Exemplary Program Award for its outstanding visual and performing arts program, which offers 24 courses ranging from speech and debate to choral music and stop motion animation. 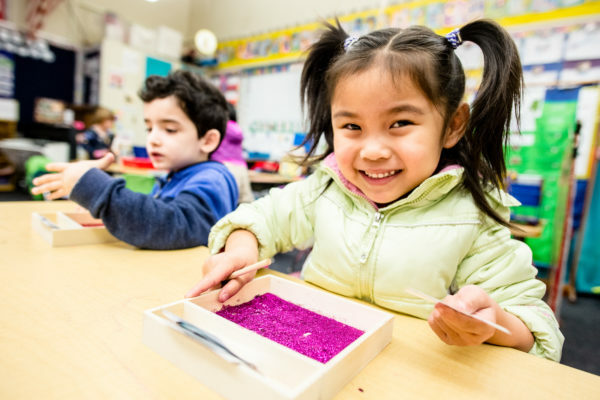 The Exemplary Program Award was awarded to 23 of the 275 California Gold Ribbon schools honored in April. San Gabriel Unified’s Roosevelt Elementary School will stage a trio of spring concerts for its award-winning Music Immersion Experience program. Transitional kindergarten, kindergarten and first grade will perform at 10 a.m. and second and third grades at 2 p.m. Tuesday, May 23. Fourth and fifth grades will perform at 2 p.m. Wednesday, May 24. The concerts highlight progress in fundamental music lessons, such as violin, choir and percussion, as well as electives in chamber winds, Latin percussion and rock band. Roosevelt Elementary is at 401 S. Walnut Grove Ave., San Gabriel. San Gabriel Unified School District will allow community use of school facilities over the next five years to offset the city’s lack of public park space. A new agreement authorizes evening and weekend use of outdoor school facilities for community and recreational purposes, which includes basketball courts, tennis courts and fields. Indoor facilities are reserved for the city’s summer day camp and recreation program. Follow-up Story: Gabrielino High School’s “Screamin’ Eagles” speech and debate team took second place out of nearly 300 schools in the California High School Speech Association State Tournament in late April. 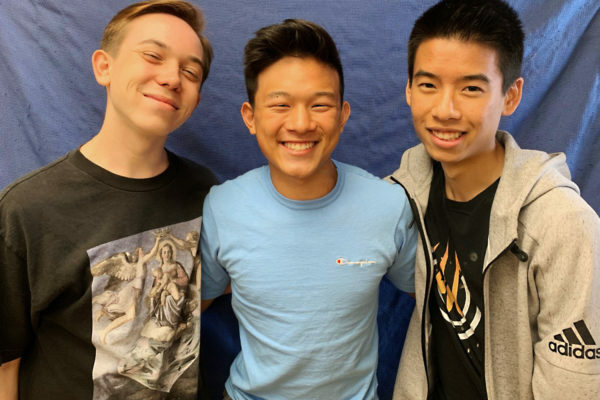 Senior and team co-captain Tim Chung earned first place in the international extemporary category, while senior Calvin Nguyen took second overall in humorous interpretation.